We are one month away from Dorothy and company easing down the road to NBC for The Wiz Live!. 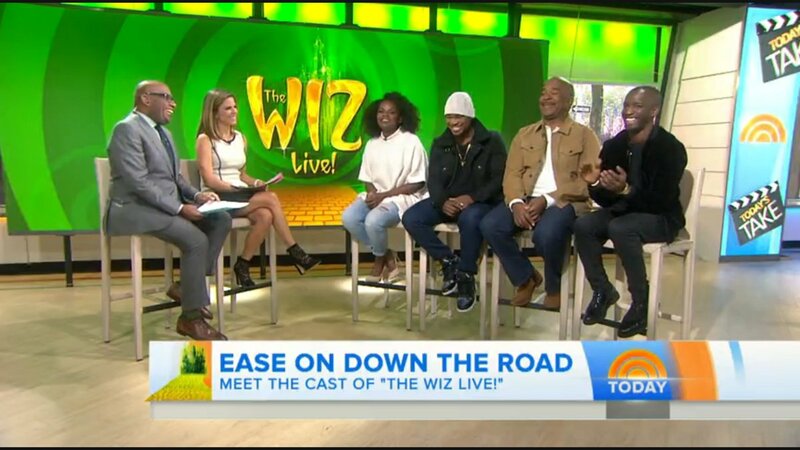 The talented leading quartet—newcomer Shanice Williams, who takes on the role of Dorothy opposite Ne-Yo, David Alan Grier and Elijah Kelly as her Tin Man, Cowardly Lion and Scarecrow respectively)—stopped by The Today Show to discuss bringing the musical to the small screen for one night only. “We open and close on the same night,” quipped Grier. “That’s two parties!” Ne-Yo dons a whole lot of silver for the telecast, and although he says the getup is “the closest thing to hell I’ve experienced so far,” he’s thrilled to be a part of the experience: “I don’t care if I’m in craft services, I needed to be a part of this.” Take a look at the interview (which includes a rehearsal clip of the showstopper “Brand New Day”) plus a funkified promo below! The Wiz Live! airs on December 3.